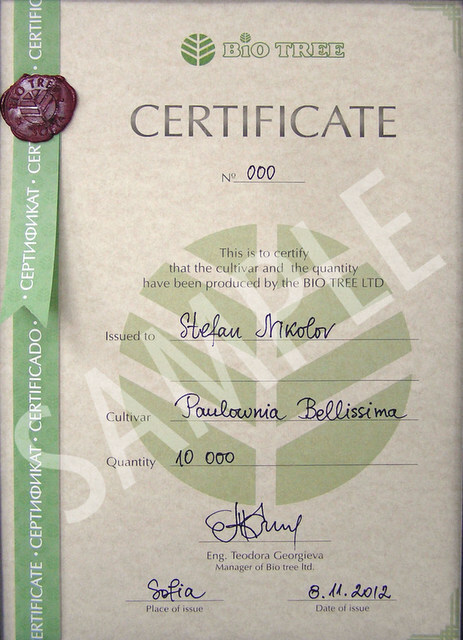 Company Bio tree is pleased to inform everyone that the Bulgarian varieties Paulownia BELLISSIA and OXI, that are our selection received their official patents. They are distinguished by improved extraction characteristics. More information about them can be found in the relevant section of our website.